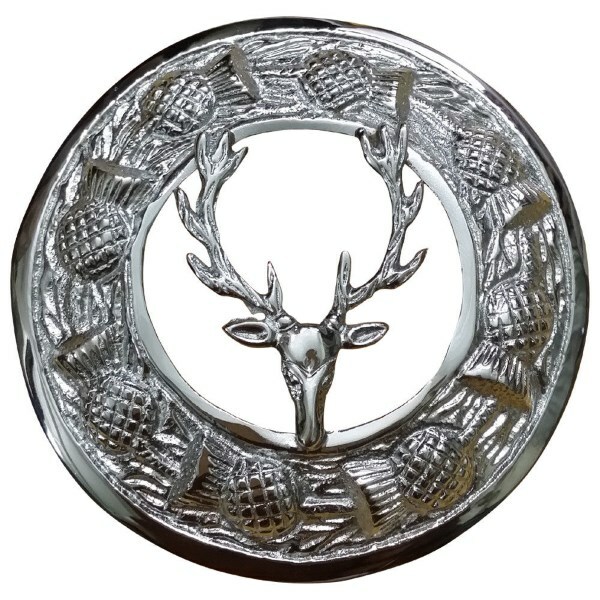 Stag head hunting brooch with a chasing thistle pattern around the edge..
+ The perfect accompaniment to kilt outfits, fly plaids or ladies shawls of any tartan. + Brooch made in brass with a bright chrome and nickel finish. + Brooch diameter: 8cm (3.15 In).